Ancestry is my hobby, but my business is as a health and safety consultant. 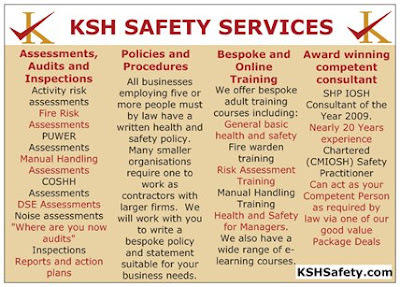 I run a professional and bespoke health and safety consultancy and training service for small and medium sized enterprises in the north west of England. Please visit the relevant parts of the website by clicking the images below.